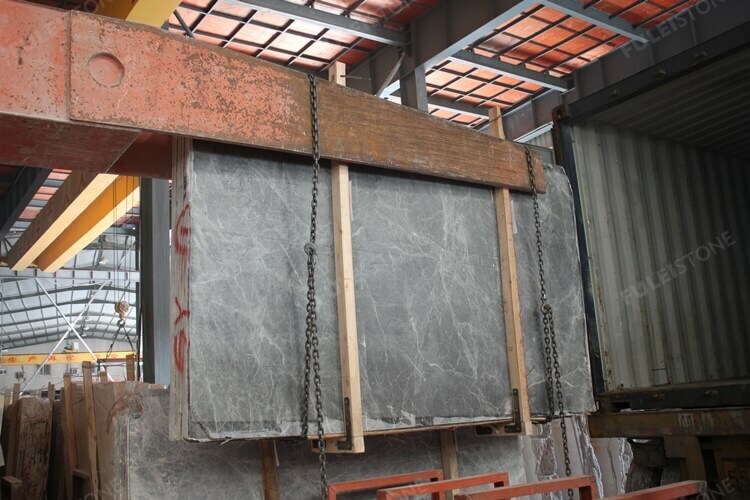 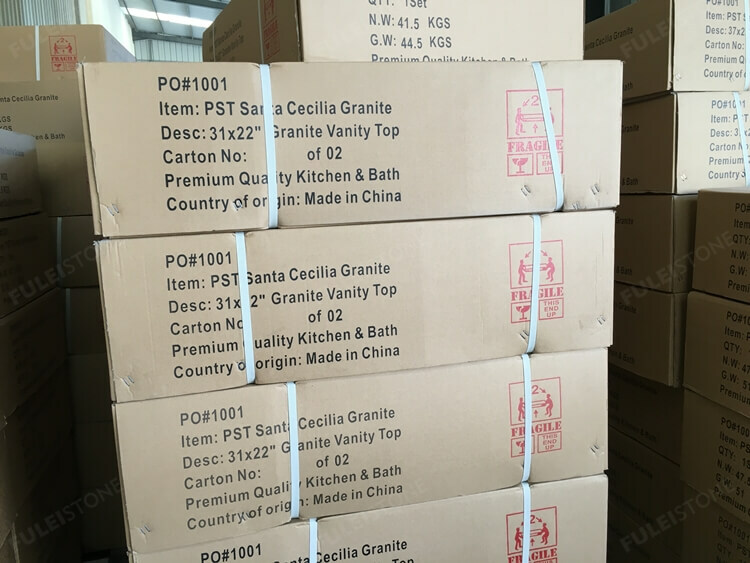 It is a very important thing for packing as the stone products are fragile. 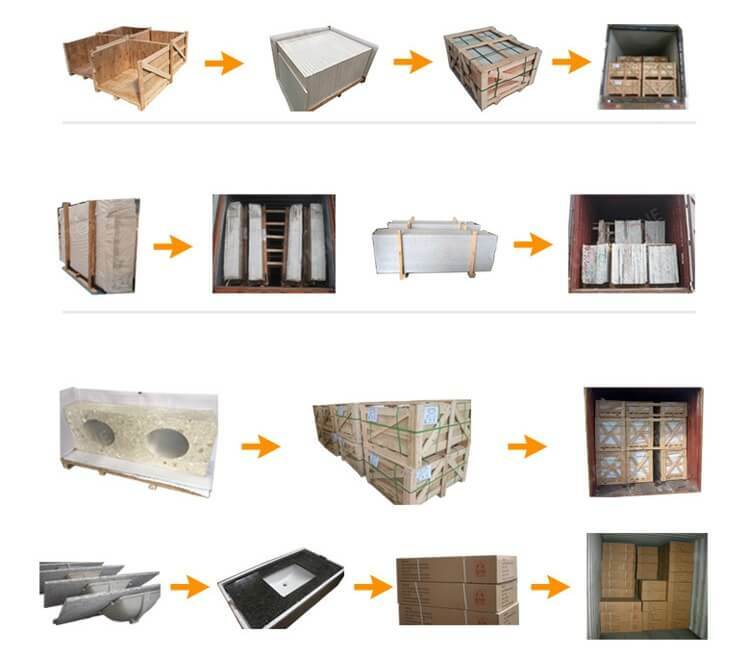 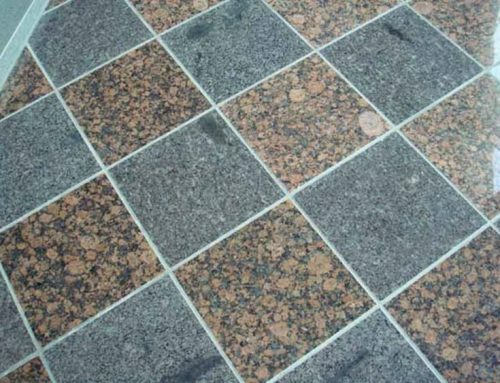 Let me introduce some packing styles of stone products. 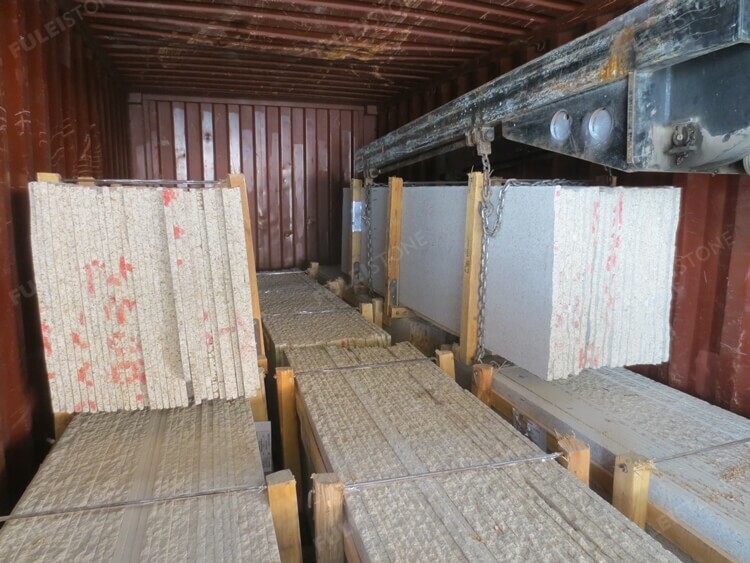 All the slabs are packed into the bundle, then loaded into the container. 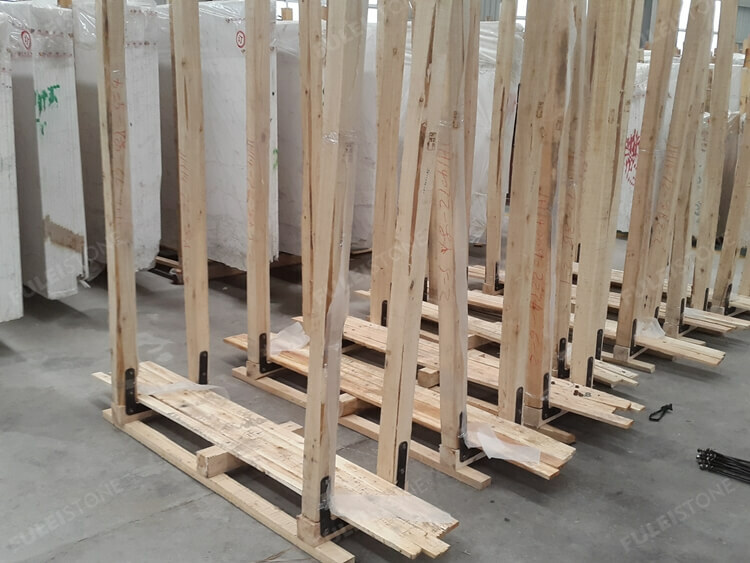 If we need to pack and load 1pcs or 2pcs slabs, we must make the tripod in the bottom for fixing, pls check the photo. 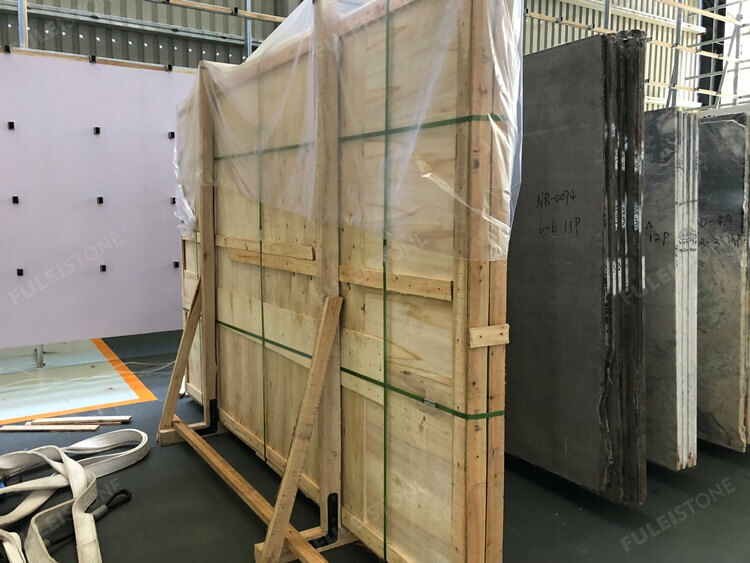 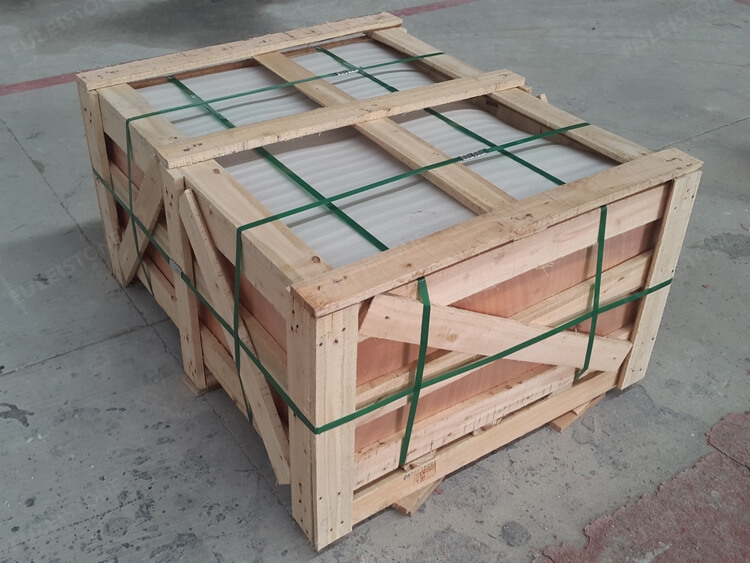 About the stone tiles, we make the sturdy wooden crate for packing and put the foam in to protect, some photos you may check. 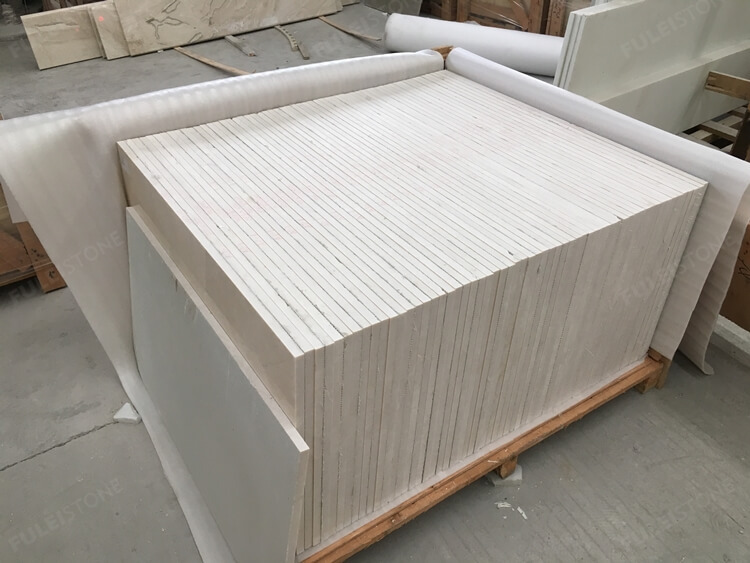 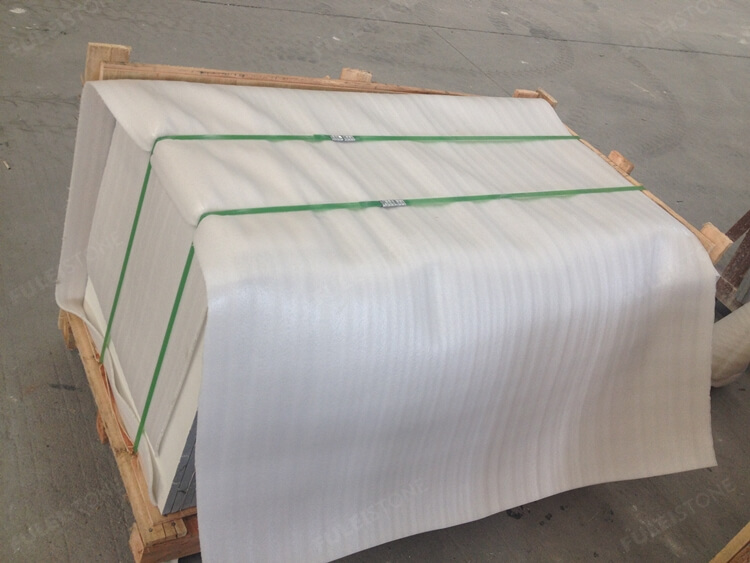 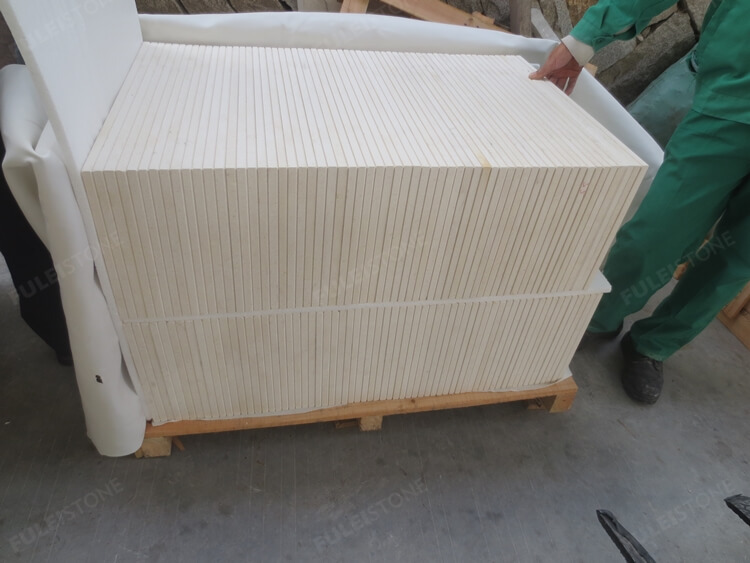 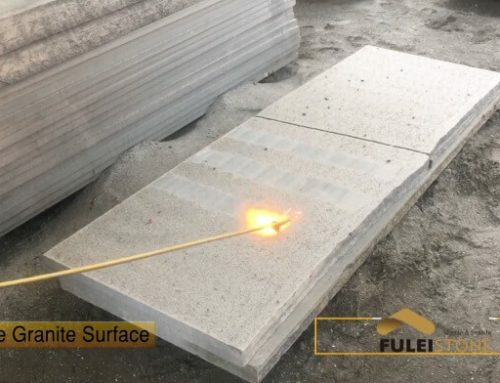 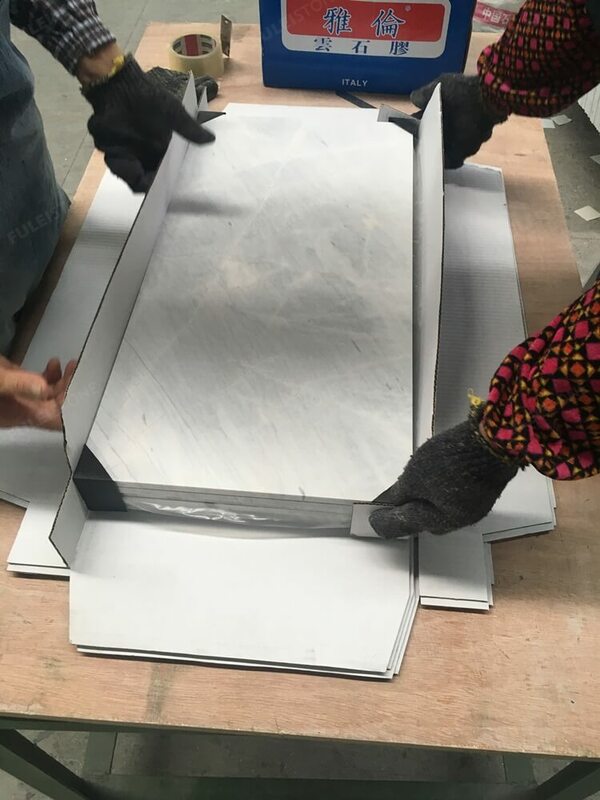 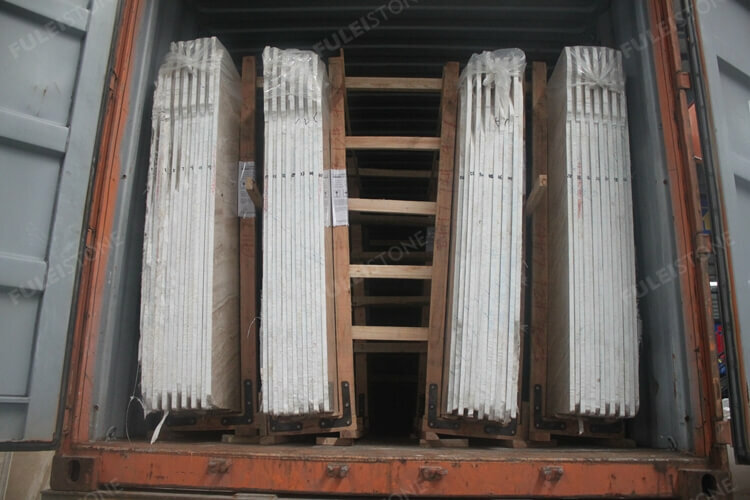 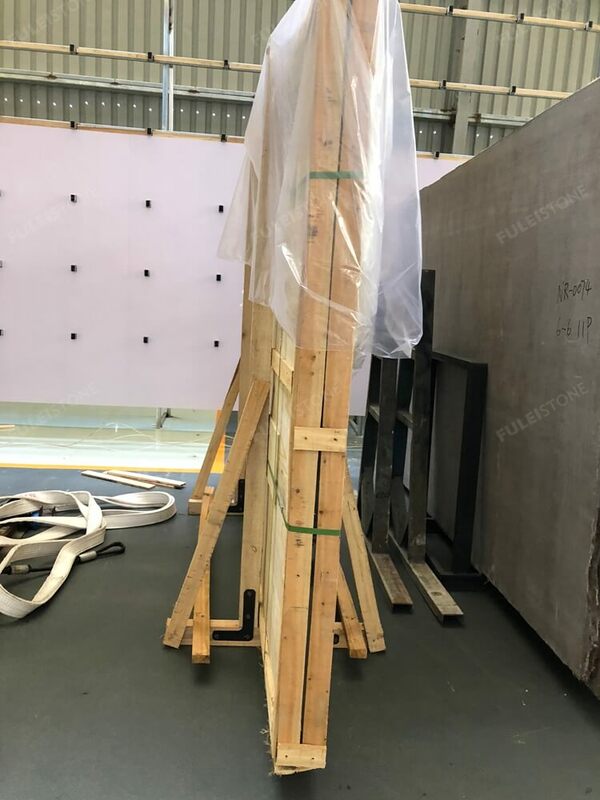 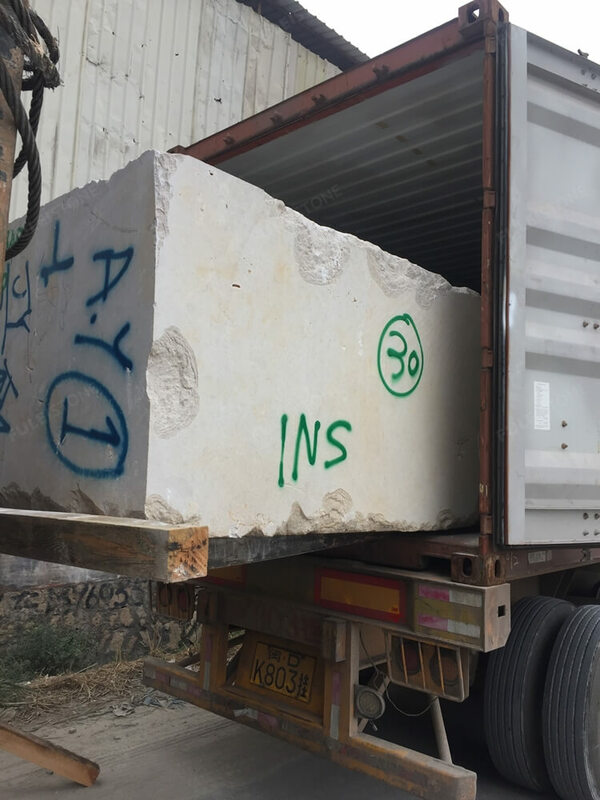 Sometimes we use the carton to pack the 1cm thickness thin marble tiles for wholesale order, then put the carton into the crate. 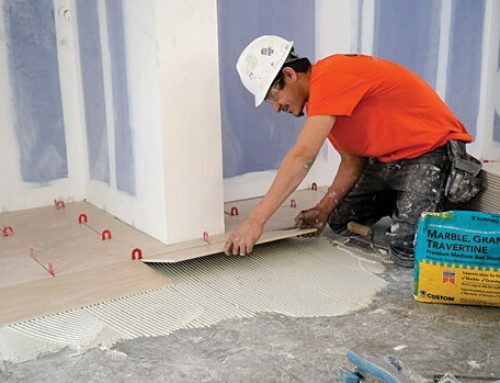 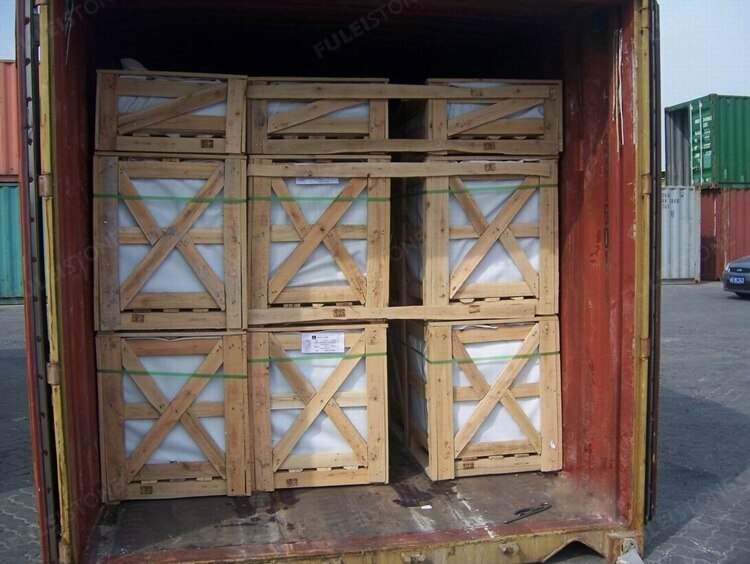 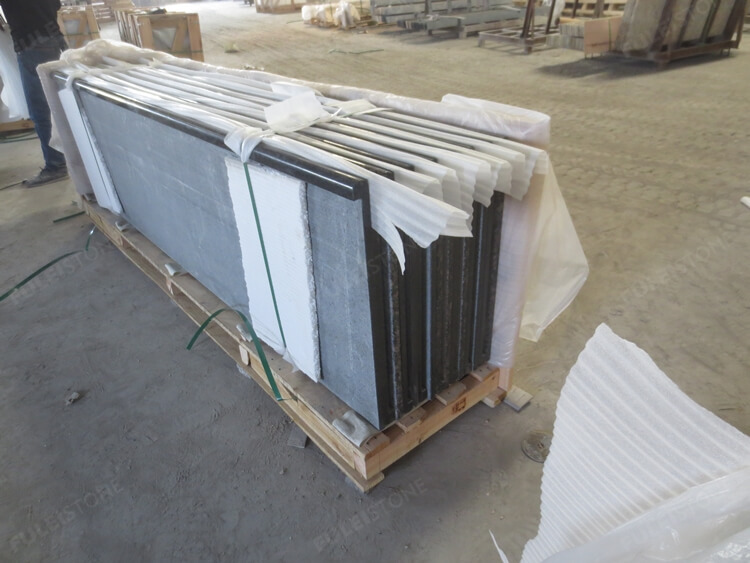 Same as the packing of stone tiles, the countertops and splash are also packed in the fumigation crate. 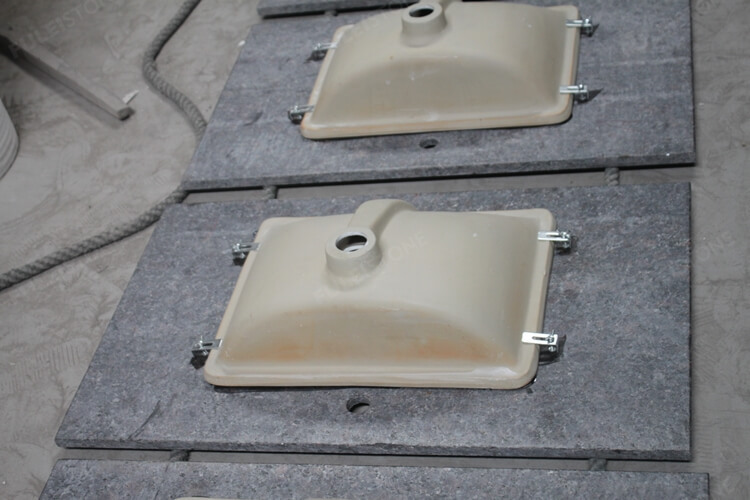 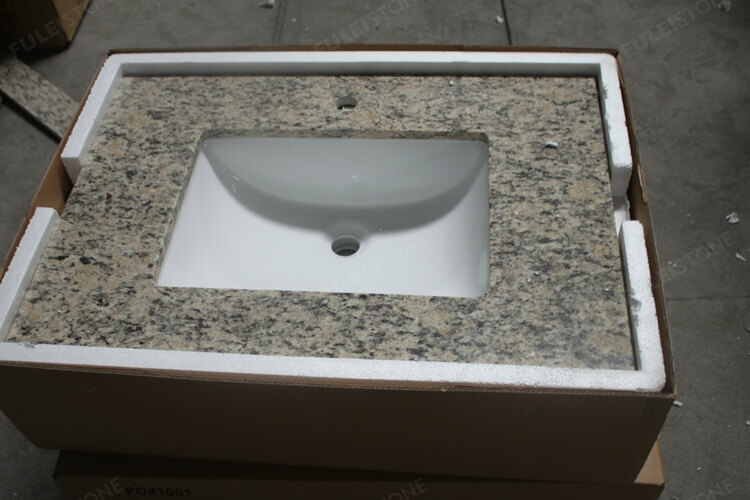 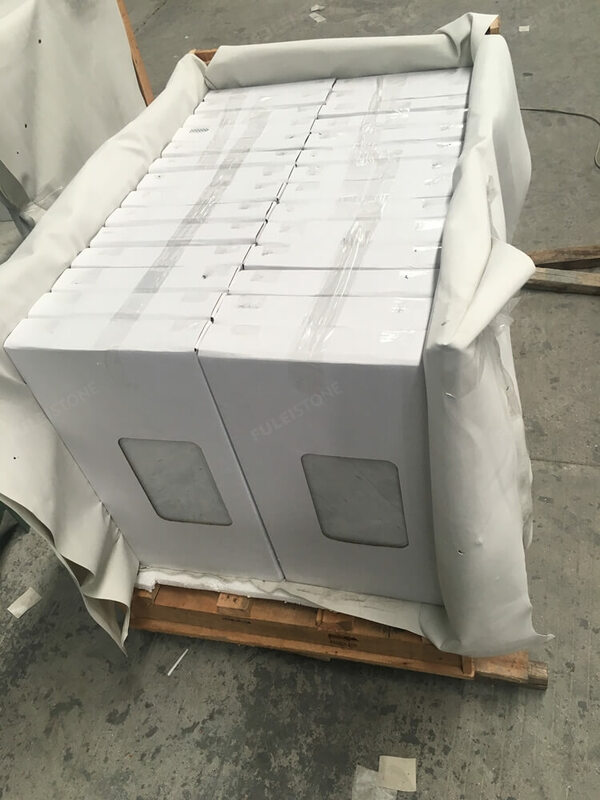 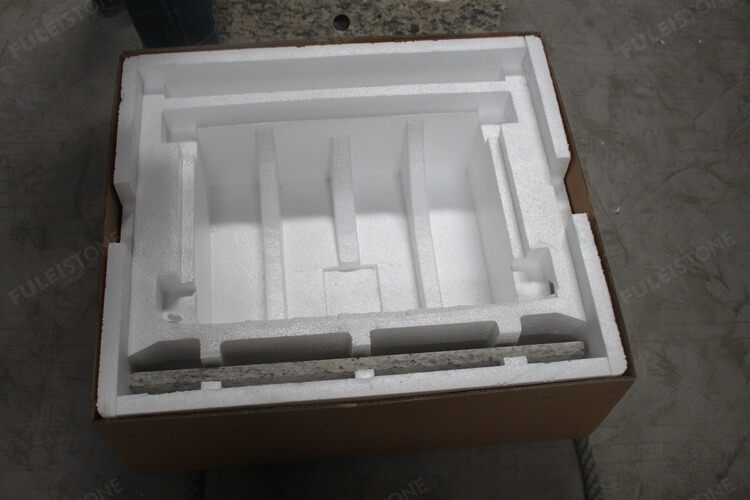 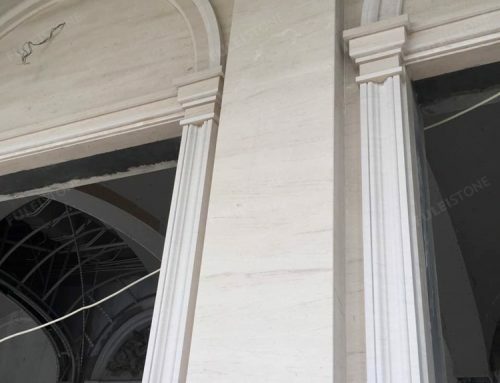 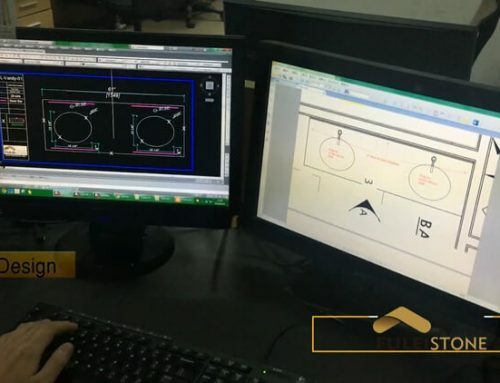 But about the prefab countertop with sink order, we must make customized carton with the logo or other information as the client’s requirements. 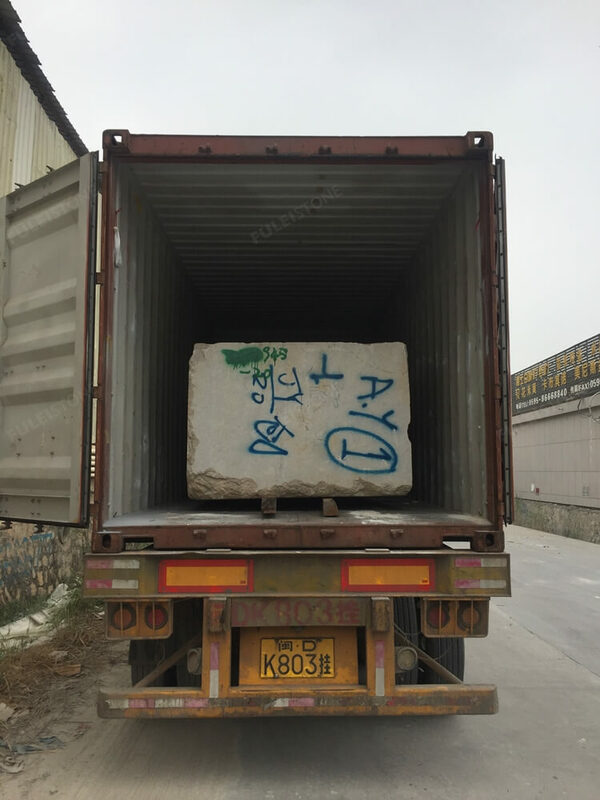 One container can usually load one or two stone blocks. 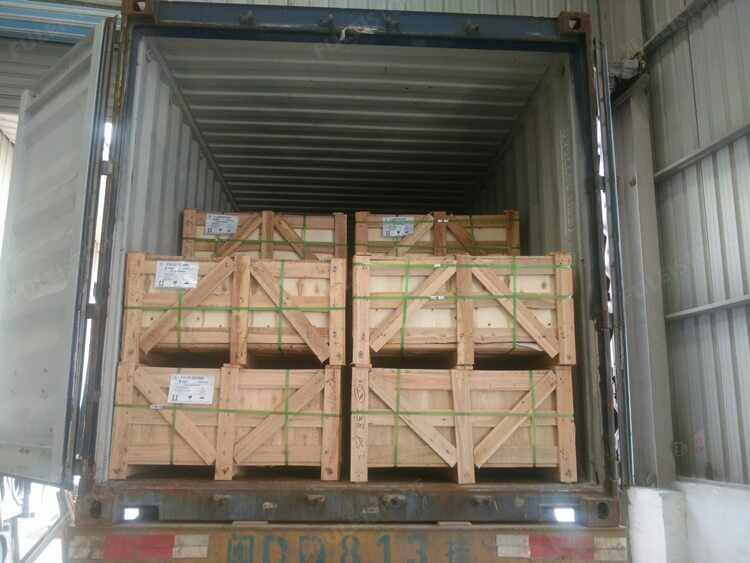 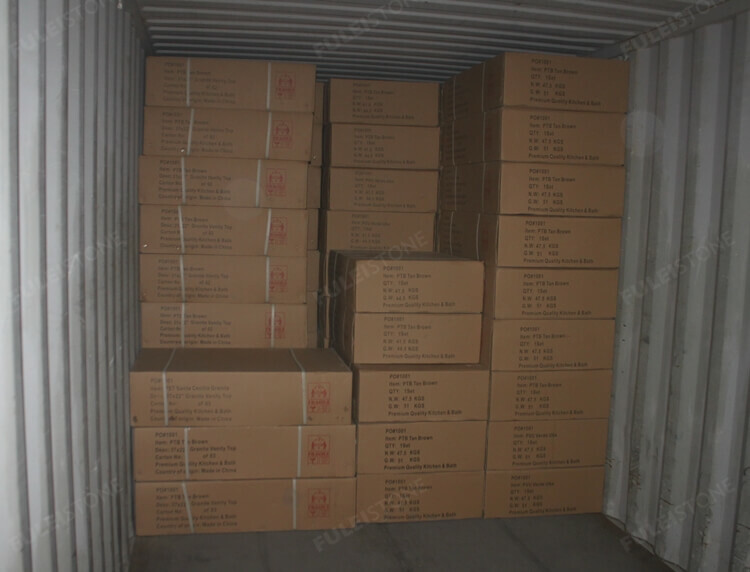 The mosaic tiles are packed by the carton and crate. 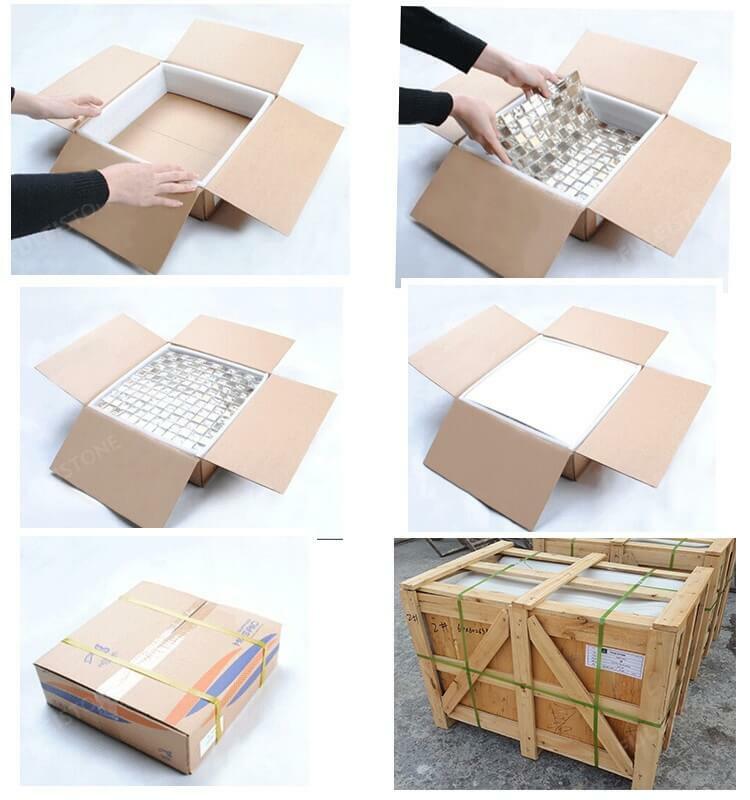 Welcome to add other packing styles and leave a message, thank you.